Emtu Estate Winery was founded in 1999 by John and Chris Mason who had recently retired from careers in public service. From the beginning, the Masons wanted to make great wine in a sustainable, holistic, community-building way. 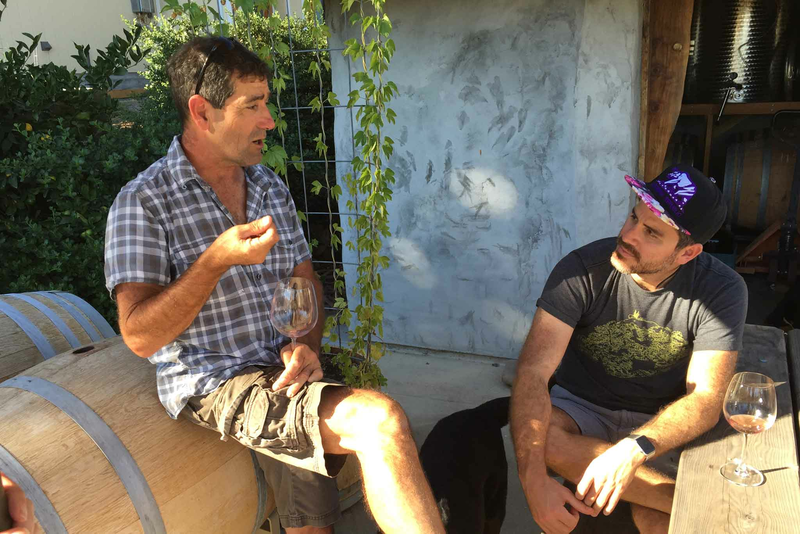 Almost 20 years later, Emtu produces excellent, organic Russian River Pinot Noir, and supports a foundation that has funded numerous disaster response projects locally and around the world. In 2017, John’s son Aaron and his wife Ann purchased the beautiful lot next door to extend both the vineyard and the winery. They now handle Emtu’s marketing and member relations, and are learning the art of winemaking as they wait for their new vines to mature. We follow organic, sustainable farming practices. We strive to be good stewards of our land and we’re constantly experimenting to find the perfect balance of lush plants, beautiful fruit, and a healthy ecosystem. We believe the key to great wine lies in tending our vineyard well and growing great grapes. While there are all kinds of modern wine alchemy techniques available for flavor editing, we believe that truly great wine is made when you simply let the grapes express themselves and the land--the old fashioned way. We aim to simply stay out of the way and let the grapes do their thing. We want our wine to help build community locally and around the world. We invite neighbors, members, and special guests to join us for bottling, harvest, and crush each year. All of the proceeds from wine sales fund disaster response projects. We’ve worked locally in Sonoma, Napa, and Yolo counties, and internationally in Afghanistan, Cameroon, Guatemala, Haiti, India, Kosovo, Kyrgyzstan, Pakistan, Peru, and Sumatra.